Two people were killed and at least a dozen others injured in an explosion at a highway petrol station in central Italy on Wednesday. The horrific incident occurred at around 2:00 pm near Borgo Quinzio in the province of Rieti, around 80 kilometres north-east of Rome. 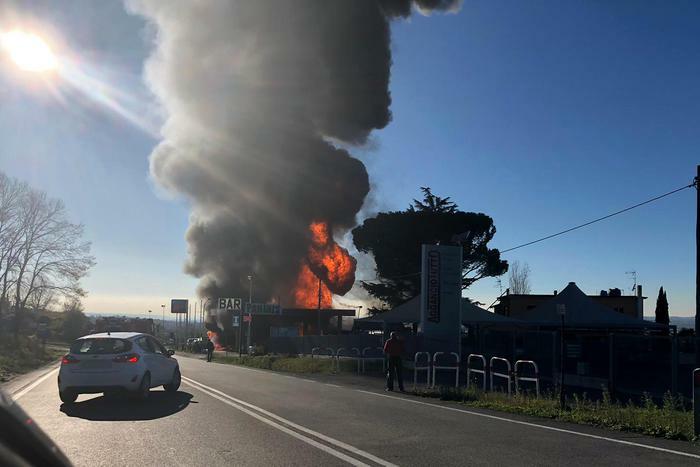 Antonio Mannoni, police commissioner of Rieti, told Italian news agency ANSA the blast was sparked by a tanker which was unloading gas at the petrol station. “A first blaze had started earlier, and while firefighters were tackling it a second violent explosion took place,” Mannoni said in the wake of the incident. One of the two victims was a 50-year-old fireman, who was not a member of the brigades called to assist but was passing through at the time of the accident and stopped to help evacuate the area. The second victim was reportedly found nearby, in a car on a road parallel to the highway. Local media reported at least 17 people were airlifted to five different hospitals suffering from burns and shock. “The whole area has been declared a red zone and remains off limits for now,” said Davide Basilicata, mayor of the surrounding municipality of Fara Sabina. Both of Italy’s deputy prime ministers, Luigi Di Maio of the Five Star Movement (M5S) and Matteo Salvini of the League, offered their condolences to the victims’ families. “Thoughts and prayers to the families of the victims in Rieti and to the 17 injured,” Di Maio wrote. Meanwhile, Salvini wrote: “A thought goes out to the families of those who are suffering and a thank you, once again, to the heroic emergency crews.